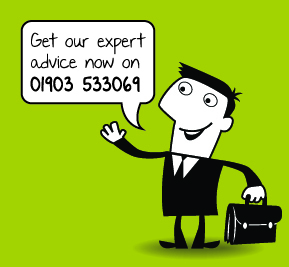 HMRC have the authority to carry out an enquiry or investigation into your tax affairs. They will randomly check on a proportion of Tax payer’s affairs each year. They will also use many other sources of information to identify and select a tax payer that they suspect may have errors and omissions that they should investigate further. HMRC do not have to tell you the reason they are opening an enquiry. HMRC then have the power to invoke severe penalties and interest should they identify errors in your tax affairs. Serious cases of tax evasion can also lead to criminal prosecution. To face a tax enquiry without the aid of an experienced professional can be a perilous and stressful task. Please contact us to advise you further. If you do find an error, or omission in previous years income or tax information that HMRC might hold about you, then it really is best to contact an experienced professional straight away and ask their advice on how best to correct the situation; this approach will be looked at much more favourably than if HMRC find the error. By contacting an advisor they may well also be aware of a scheme HMRC are currently running that will also provide you with more favourable terms. The cost of a good advisor representing you will often be saved many times over by the reduced overall tax and penalty burden of using them. If HMRC have contacted you, or you are worried about possible errors or omissions in previous tax years, please feel free to phone and ask our advice on this issue. If you appoint us to deal with this, we will then liaise with HMRC on your behalf, and prepare submissions in the most effective and efficient manner to present to HMRC, before finally negotiating with HMRC the level of any outstanding tax, interest and penalties that might be due. Prevention is definitely better than cure as far as your tax records are concerned, so use us to complete your records and returns accurately on time to alleviate the above problem. Plus, if you are a regular client of ours and pay our fees by monthly standing order, you will benefit from our free Tax Investigation service covering you from the professional costs relating to HMRC enquiries (subject to its terms and conditions). Please feel free to contact us for further information or review the testimonials from clients that we have represented in enquiries in the past. The above is only a hypothetical example and is not meant to be relied upon in any way as there are so many variables in tax enquiries. If you can’t reach a settlement with HMRC, the case will be put before a tribunal, who will make a decision on a case based on both sides of the evidence presented. "For years David Jarman Accountants have assisted us with all parts of our financial systems and ensured we have complied with the many and varied aspects of legislation in order to keep us as owners in control of our business affairs. They deal with everything from our record keeping, Management Accounts, VAT, PAYE and CIS returns to our final Partnership Accounts and Personal Tax Returns. We are extremely happy with everything they do and have always recommended their services to our friends and business associates." Oliver and Joe – Partnership – Electrical Contractors – Brighton Area.